About one in seven (1:7) couples suffer from infertility ( inability to conceive naturally). Traditionally, 15% of the infertility is related to male infertility. Over the last 5 – 10 years , we have seen an increase in male infertility. Currently, as much as 40 – 50% of infertility is related to male. 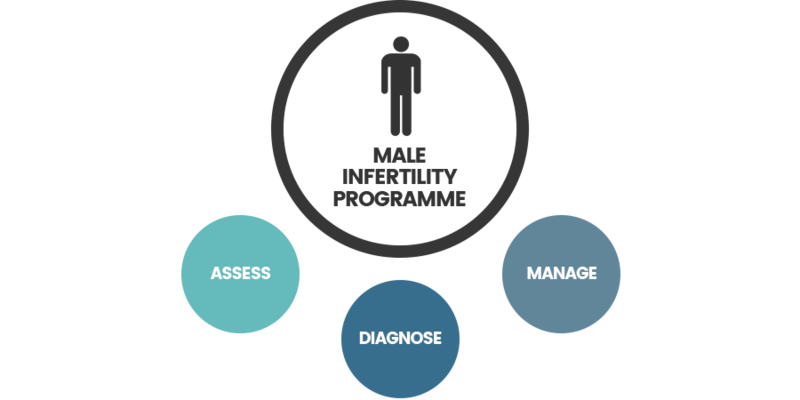 The Male Infertility Programme is designed to assess , diagnose and manage male infertility. Our team which comprises of a gynaecologist, endocrinologist , urologist , embryologist and nurse counsellors offer a comprehensive and a one-stop solution centre for male factor infertility. We dedicate our effort in helping couples diagnosed with male infertility to become parents.